Hi all! 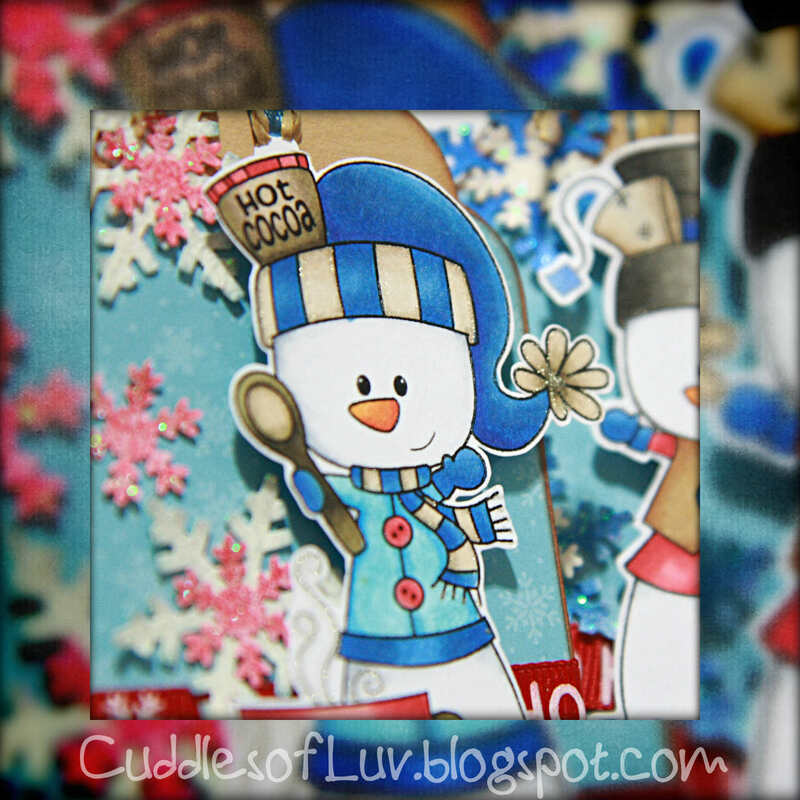 I'm a bit late posting this up, but today Lollipop Crafts has a new bi-weekly challenge, and the theme this time is Happy Holidays! 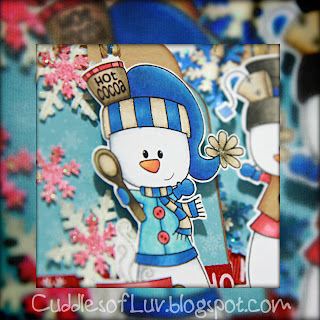 Just show us Christmas or other winter holiday cards, scrapbook pages or crafty gifts. Come back on Wednesday to see who is our sponsor and what the awesome prize is! Colored them up with Copics markers and added just a touch of shimmer with Clear Star gel pen. The tag die is from Sizzix, some scraps from Recollections xmas paper pad, snowflakes from MS punch and a mini punch, ribbons and buttons to finish it off. The back is stamped with a sentiment and left enough room to add a name. 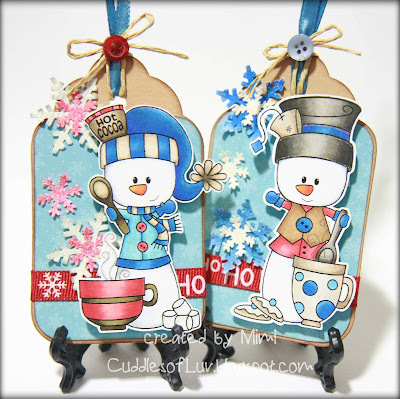 Be sure to stop by the Lollipop Crafts blog to see what the team members have made. Hope you can join us! 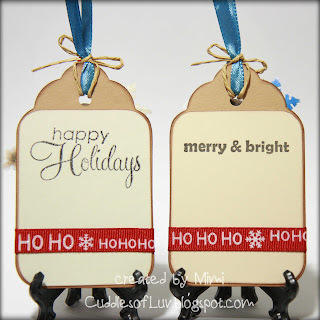 I adore these cute tags!! Love the brilliant colors and the adorable images. These are sure to make any gift extra special. So darling!! Thank you for joining us at WD! well aren't these just so sweet, love the colouring and colour combos! thanks for playing along with us at Whimsie Doodles!! These tags are just too cute! I love snowmen! Hope you're having a great week! I LOVE these tags. And so glad you slipped in that splash of red ribbon to play along with the Oozak December challenge. Can't help smiling with one of these on your package!